"Affinity Photo, best one time purchase!" What I love is that Affinity Photo is a one time payment and you get to keep with for life with updates! I think that is amazing, and at the time that I am doing the review ( April 2019 ) they have a 20% off! If you are going for Affinity Photo, then I think it is important to consider Affinity Designer as well, It is great that you can pay one time and not have it subscription based. Having a software that is aesthetically pleasing as well as a program that is able to add third - party extensions! I love everything about this program. It is easy to use, easy to figure out, extremely intuitive, and very cost friendly. (This review is from the perspective of a former Adobe Photoshop user). Even though it is a much cheaper option than Adobe's despised subscription plan, it still accomplishes everything Photoshop does. I can't think of one thing I dislike about this program. However, due to the fact that it is a fairly new program (in existence since 2015), there aren't as many Youtube tutorials as some other graphic design programs. However, Affinity Photo itself is great. Do it. $50 (the current price) is nothing compared to the thousands (literally) that you would spend on Adobe Photoshop over several years of use. Even if you're considering some other alternative, give Affinity a shot. It's worth it! We realize the benefits of quickly and efficiently creating professional graphics for our company. "Affinity Photo - Good Value Photo Editing Software"
Affinity Photo is a desktop application, important when dealing with large image files - and there are no subscription fees - just the one-off cost of the software. While fully featured, Affinity Photo is great for quick edits like cropping, resizing, minor touchups, cut-outs etc. This also supports Photoshop plug-ins like Topaz labs, so you really do have a powerful photo editing tool at your disposal. Supports all the common graphics file types and has great options for exporting to different formats. For occasional users there almost too many features and options. It can be difficult to find that one feature you need if it isn't something you use very often. The user interface could be prettier, but the relatively new 'light' option is a vast improvement on the initial 'dark' theme which was the only option on release. If you are a graphics designer, you'll likely want to use the industry standard tools and can justify the price tag. Affinity Photo is a low-cost alternative that is ideal for businesses without a professional design team, but a requirement to make edits/amendments to existing design assets - logo's, web images, print adverts etc. Affinity Photo is ideal for businesses where there is a requirement to work with image files for relatively straightforward tasks - amending ads, refreshing presentations, web and blog content - but no real design capability required. A programme like Affinity Photo lets you make amendments and convert image files for different purposes (eg. print or screen) without having to invest in the complex and expensive graphics packages that would be required by professional designers. You don't just save on the cost of the software, but on all the amendments you can then make in house rather than going back to your designer. There's also a great element of timesaving - no emails back and forth and waiting for your job to get to the front of the queue - you can just get on and make the simple amendments in house. You'll still want professional help when you need designs from scratch, but a tool like Affinity Photo will let you make the most of any design assets you have already paid for. "Move aside, Photoshop. Here comes the new king." As of today, the perspective tool is not as advanced as the one in Photoshop, but I have no doubt it will get there. The inpainting brush could also use a little tweaking. It's worth a lot more that what it costs, so I suggest you get on the boat and show the world that Adobe can learn a few things from these guys. Photoshop is a behemoth, while Affinity Photo is lightning fast and have everything you need right where you need it. It's simple and efficient, without sacrificing any of the features Photoshop have. It is easy to utilize, simple to make sense of, incredibly natural, and very cost cordial. Affinity Photo is a work area application, essential when managing huge picture documents and extraordinary for speedy alters like editing, resizing, minor touch-ups, patterns and so forth. It's a program similarly as flexible as Photoshop, yet the expectation to learn and adapt was very simplicity contrasted with Photoshop. I don't like that you can't set a console alternate way for macros a similar way you can in Photoshop. On the off chance that you are a graphic designer, you'll likely need to utilize the business standard devices and can legitimize the sticker price. Affinity Photo is an ease elective that is perfect for organizations without an expert structure group, yet a prerequisite to make alters/revisions to existing plan resources - logo's, web pictures, print adverts and so forth. On the off chance that you are going for Affinity Photo, at that point I think it is essential to consider Affinity Designer also, It is incredible that you can pay one time and not have it membership based. Affinity Photo has made altering item pictures much simpler and genuinely consistent. Works quick and every single vital instrument accessible. Incredible design opportunities at a more affordable rate. I like that it had a one-time fee, but that the developers are always improving their product! It is easy to use and very comparable to Adobe Photoshop CC. I would absolutely recommend it to any other design freelancers out there! So far, there is nothing I dislike. I love everything about it! It can take a little getting used to, but since there are plenty of online, free tutorials, and also a very detailed workbook one can purchase either on Amazon or on their website, it's not a problem. The community too is very, very helpful! If you are a freelancer, a student, or a semi-casual user, this software is perfect for use! I would say it will challenge Photoshop in every possible way in the future. I am a freelance graphic designer, so I use it for editing photos for clients (professional) and for myself (personal). Aside from the benefits I've already listed, it's very clean and nice-looking. "Affinity Photo does everything Photoshop can do"
With the power of Photoshop, but the price is unbeatable. You get a program just as versatile as Photoshop, but the learning curve was extremely ease compared to Photoshop. There are so many qualifiers that make this software at par with Photoshop for a designer, but the ease of learning it, coupled with the price mark...you'd be a fool not to invest in Affinity Photo. Affinity has two wonderful design programs. Affinity Designer & Affinity Photo. Already have invested in Affinity Designer first, I expected a different everything from their new room out with Affinity Photo. While the two are not the exact same, it's pretty quick that I realized both programs essentially do the same things for what my needs were. You REALLY only need to invest in one or the other. I have used Affinity Photo for creating beautiful photo ad's for social media marketing. It's just an easier program for anyone just getting into design than something like photoshop. "This is a great alternative to Photoshop"
The workflow is the best thing about this application. although it may be missing some key features that photoshop has, it makes up for it in the long run with it's price point. I also love the way it manipulates photos and how it reacts with my mouse. Smooth clean sailing. If you use photoshop and are tired of paying the $50 a month for the suite, Take the time out to try Affinity Photo. It's worth the look and you can create amazing things in it. Their fanbase has insane art that has been created with this program. I use this to develop all of my photos, create designs for clients, create icons alongside Affinity Designer, and I use this program to view my photoshop files. I also port all my PS files using this program. "I think that Photo was Affinity Photoed! (not photoshopped)"
The best part of Affinity Photo is the one time price. FREE updates and support. Awesome community. Amazing roadmap. What else is missing? Did I not mention you can buy an Apple store app so you can do your Photo editing on the go? Some missing features I would love to see on Affinity Photo would be the HUGE collection of Photoshop Actions that are available on the Market are not compatible with Photo. Neither are the Lightroom presets which would have been awesome. What is lacking at the moment as well is the marketplace for everything Affinity has to offer. I highly recommend Affinity Photo. The ease of use, pricing model, and everything not photoshopped is really amazing. It is available on all business environments, whether PC, Mac, or iOS! It is definitely a must buy. Looking forward to the development of this great piece of software. Businesses looking at inexpensive photo editing solutions should definitely consider Affinity photo. Businesses looking to cut down on their operational costs should really consider making the move to Affinity photo. What I like best is the price. If you have some experience with Adobe Photoshop but can't afford the extremely high price tag of owning your own copy then Serif has built the perfect alternative for you. Affinity Photo has just about all of the photography-related tools that Photoshop has — such as adjustment layers, masks, color management, dynamic paint brushes, a healing brush, lens correction, and CMYK and RGB editing. It even opens Photoshop files. Yes, it has it's limitations but for only $49.99 this is an amazing piece of software! Not much to dislike with Affinity Photo other than it lacks some of Photoshop's extra functionalities that are outside the normal photo editing realm, such as 3D editing. It also seems a little slower than Photoshop. Not a biggy for my day to day tasks. The learning curve is small If you have some Photoshop experience but can't afford your own copy. For under 50 bucks I highly recommend Affinity Photo. The biggest business problem Affinity Photo has solved is having a Photoshop alternative at a price I can afford. This is not like settling for a free alternative like Gimp but a rather owning a high end, professional graphic studio built from a top line company in Serif. As a beginner designer, it's good to weigh out your options on what programs you'd like to be skilled in. I've used Photoshop throughout my schooling and was fascinated with it but it has been very expensive ever since I could remember. Thankfully Serif's Affinity Photo has the same types of tools to get the job done with less financial burn in your wallet! The program has great flexibility and a very nice interface that doesn't overwhelm me. I like how users can change the mode of the program, (a.k.a. "Persona" modes) for specific designing needs. You can also create your own Persona. It truly is the Photoshop/Illustrator alternative I've needed. It's fast, efficient and genuine to photo editing/digital art. I dislike that I considered paying monthly for Adobe's Creative Cloud before finding this gem! The only major problem is that there aren't many resources on how to use the program well, though I think that won't be an issue for too long. There aren't many working plugins and the cataloging system will take me some getting used to. I really like that I don't have to pay a lot for Adobe. Serif's programs are affordable, have options for small businesses, freelancers, etc. (Affinity Designer is awesome too!) and can be licensed for multiple computers. "Affinity Photo, The complete and best alternative photo editing software to Adobe Photoshop"
* From all the best things I explained above. Yes, Affinity Photo can work with PSD files. I'm using Affinity Photo not just to edit some photos/images but also create banner, book cover, name tag, label, etc. I know that it will be much easier to do such tasks on Affinity Designer but Affinity Photo surprise me with its capability to do this job well. One software for various designing purpose. The interface. The rendering speed. The price. The tools feel far more advanced than Photoshop. Adobe can change the look of their interface all they want but Photoshop looks and feels tired in comparison. Providing that it's relatively new, some certain features that I was used to in Photoshop. Requires a little digging around but there are solutions to everything I've needed to do. Check their forums, videos, and Youtube. For $35 what have you got to lose? Photoshop feels like an anchor tied around my neck compared to working with Affinity Photo. I use Photo endlessly for a onetime price of $35 (as opposed to paying $20 a month. . . forever to use Photoshop, or $52 a month. . . FOREVER to use the 3 core programs in CC). The benefits are when you realize you DON'T need the Adobe ecosystem. There are so many good tools to achieve what you need available without subscriptions and from my experience the companies and forums are far more attuned to the investment of time and money their customers make in their products. "Today's Best alternative to PhotoShop for editing 360 photos"
360/VR is still in its infancy so I would expect that more software solutions will come. Affinity Photo is sure to be joined by competitors but the combination of affordability and feature set makes it worth the investment (for now). "Incredible, a true Photoshop replacement"
There are so many things to like about this product. It’s wealth of features is on par with Photoshop, and it even has a few unique features of its own - such as an incredibly easy to use panorama creation tool. The price compared to Photoshop is amazing at only a one time $50. The learning curve is a bit steep - a number of the more advanced features, such as layer masks, can be a bit difficult to discover. There is a free trial that is definitely worth taking a look at first. Beyond that though, if you’re frustrated with the cost and terms of using Photoshop, this is the product for you! Graphic design for web pages and logos, as well as general photography editing. Completely replaces the need for photoshop. "My experience using Affinity Photo "
i really liked the variety of options Affinity Photo had. I could change the saturation levels as well as brighten and darken photos, remove unwanted objets and more. I did not like how hard it was to change file types, i needed to change it from a .jpeg to a pdf and it took me a long time. I think they should redo that part of the design. Affinity Photo is great for photo editing and resizing. I would recommend it. It solved our issue of not having a great photo editor, this is an amazing alternative to Adobes Photoshop, and its a better price, using this product we were able to edit our graphics and our website and Ads looks so much better. Our marketing team loves it. "Nice Alternative to Adobe "
I like that this software is pretty much strictly for photo editing and similar projects. Photoshop became an all-in-one program, without really meaning to. This is great for single focused tasks that deal with raster based images and editing capabilities. Sometimes the tools don't work exactly how I want, but I think that is mostly due to using Photoshop for years and years. The learning curve can be a bit high, but they have a decent forum where people discuss problems and solutions. They also are actively updating and adding new features, so it's still growing. We do a lot of graphic design work, so while we use Affinity Designer for a lot of the layout stuff, Affinity Photo is super helpful when it comes to comes to editing images, creating masks, etc. "Affinity Photo is the Photoshop Replacement you have been searching for a long time." Batch processing, 360 degrees editing, multilayer composition, precise selection and psd file editing. The only downside is if you are coming from Adobe Photoshop and is that you need to adapt to a new learning curve but you will master it fast. Hate Adobe subscription plan? Switch to Affinity suite. I’ve been using adobe products since 1992 and when they took the subscription business plan I decided to quit using their products. My search for a replacement was kind of impossible until I find out the Affinity Suite for Mac. It’s the most advance and professional tool I’ve ever used after Photoshop and I’m not exaggerating when I say Affinity Photo is better than Photoshop. You can do more, you can do better and it even let you edit psd files and exported as psd as well so your clients will never complain if they just need to see a .psd extention on their files. This is a big deal for all of us designers. Affinity Photo is the answer for a Photoshop replacement. I liked how many features it had i could alter my images and graphics in many different ways. I also thought the crop tool was great, i was able to cut parts out that i did not want to see. I thought the software felt a little outdated. It looked like it was from 2015, i wished they would come out with an updated version that worked faster. It is a solid photo editor, 7/10. It solved our issue of needing a great image editing software because we were not allowed to use adobe due to our ongoing court case. It was a great alternative and it really does let you make great edits. "Edit your Photos fast and smart"
Honestly speaking there is not much to say here. File support for all different kind of cameras is surprisingly good. As a working Pro-Photographer image manipulation is part of my daily job. I do like to test new software solutions especially as I am not a big fan of monthly payment plans for software that one used to buy and "own". "A great replacement for Adobe Fireworks & Photoshop"
There are many things that I can do with Affinity that I couldn't do with Fireworks that I found Photoshop to be too complicated with. I also like that Apple Photo has a plugin that I can open photos in Affinity edit them and then save them back to Apple Photo. The learning curve has been a bit steep for me, but I am getting the hang of it. The tutorial videos are great but wish they would provide the sample photos being used in the tutorials. Use their videos to get up to speed. I have found the videos to be a huge help in learning the program. I needed a replacement for Adobe Fireworks and Photoshop because the cost of the software was huge. I don't really use any Adobe products anymore except for the image programs. For a one time fee I am able to do almost anything that I did with Fireworks. "Inexpensive photo editor alternative for small business owners"
Has full editing capabilities similar to the more popular photo editing software at a fraction of the cost. Menus are difficult to navigate until familiar. Editing and enhancing photographs is an essential part of my forensic work, which enables me to "see" details which were otherwise invisible to the eye and to be able to present findings to my clients in a manner which is clear. Affinity Photo like Affinity Designer is very Fast to iteration! It puts you right into the workflow of whatever photo you are working on. The tools are easy to find and use. I havent been using AP for long but it feels a bit on rails. Im still used to the openess of Photoshop, but I think for someone new to photo editing it wont be an issue at all. I look to Affinity software to replace Illustrator and Photoshop and I have never looked back. I just can wait for puppet warp to come to Affinity Designer (Adobe Illustrator Killer). "great image corrector and editor"
Since i start using this i just push for my self to learn the short keys and the tools he have, don't need to be a pro in photoshop or in photography to start and learn easy to use this. The software configuration give a lot of chance to change the UI like we like. The people how use a lot Photoshop and learn the short keys and some tools, and unfortunately the A Photo don't have the same short keys and some tools like photoshop. "Great Photo Editing Software in Mac, that's Fast and Affordable"
I love the tons of features that's similar to the most expensive professional photo editing softwares. They also have tons of video tutorials and item packs which helps the newbie Affinity user to get up to speed with using the software. The updates are also included for life! Which means that this investment will be only one time upfront. There is still some learning curve for transitioning to the Affinity Photo from Photoshop. I can't find a way to import Actions from Photoshop to Photo. Professional designs that's easy to create, tons of features and brushes. Affordable and fast solution. "Cost effective PS alternative for enthusiasts and professionals"
It has all the features you need for photo manipulation / drawing. It has a different, very focused Persona for the most common tasks. The panel customization is not there yet, still needs some improvements, and the software sometimes crashes. I would also like to see some anti-aliasing improvements too. It can handle PSD files too, but it can save editable texts into that format in the current version. If you're considering to switch, you can use it's own file format (.afphoto) or wait till they implement full support for PSD writing. Photo editing, sketching, digital painting, mocking up designs, etc. It's a full-featured photo editor with a brand new and full modern code-base with a fresh take on just how non-destructive non-destructive editing can be. When Adobe changed its pricing structure to a pay-to-rent model, many editors (especially freelancers) were outraged. The new revenue model eliminated the user's option to upgrade or not. Affinity Photo uses a traditional perpetual license (pay to own). That's the first obvious shot across Photoshop's bow. The second is the more devastating blow: it's a fantastic product with so many advantages and shifts in how to think about editing that it has changed not just how I approach my work, but my productivity has improved. Affinity Photo is - at first blush - an affordable competitor. But using it reveals a much richer shift in how to think about accomplishing your projects. I've been photo editing for well over 20 years - Affinity Photo has not only impressed me, but won me over. And yes, I used to be one of those people who used to say, "no one will ever touch Photoshop." It fits my workflow perfectly, but some might be disappointed that there are no cataloguing tools (yet). The problem was finding photo editing software at a reasonable price that wouldn't be a major ongoing expense. OWNING (perpetual license) Affinity Photo it costs a half a year of Photoshop. Problem solved. "Great software for advanced users and you can be advanced in just couple of hours"
I love auto settings, my favorite tool is Gradient tool. I also love Styles and Effects, they are great. Overall Affinity is great software with full potential to became perfect picture editing software. So far i didn't find any option that i do not like. Interface is nice and clean and fast. Maybe needs more options to play with text. I recommend Affinity Photo to all people that want their pictures to look amazing with not to much spending time creating them. 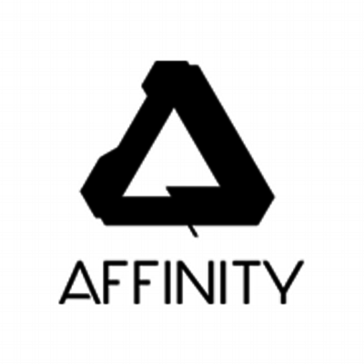 With just few hours you playing with Affinity you will love it. Am using this to create some nice pictures for websites and graphic design. Affinity is doing great job. All pictures looks like pro. "Gives Photoshop as serious run for its money"
Unbeatable price, excellent resource s, simples and intuitive GUI, fully featured and even includes some unique and highly useful tools such as the intelligent selection brush. Occasionally runs a little slowly and sometimes crashes on slower computers. Affinity photo provides professional level tools at an consumer level price point and is excellent small businesses looking to save, or as a tool for non-design departments, or those with limited design experience. Affinity photo provides an excellent cheap alternative to Photoshop and is perfect for use by those with less experience in digital design due to excellent online resources and intuitive interface. My management team are very happy with the results achieved by Affinity photo and not to mention the cost saving compared to the Adobe subscription and desktop app combined with the ipad version is a godsend i can now easily do edits on the fly from my sofa and it's waiting on my desktop in the morning ..
"The Photoshop and Lightroom killer is here"
This is without a doubt an excellent app that not only replaces Photoshop but also Lightroom. Its performance is amazing. Once you learn all the shortcuts you'll no longer remember ever using Photoshop or Lightroom. The one big feature is missing is action like Photoshop or at least the ability to import Photoshop action. Just like Affinity Designer, I would like to have an iOS app as well. If you're looking for a Photoshop and Lightroom alternative, than this is for sure the app you're looking for at an amazing price not only for the Mac but also for the PC. Just like Affinity Designer, Affinity Photo is my number one go to tool on a daily base as a Senior Web Designer. It allows me to easy retouch product pictures to a professional standard without requiring a lot of time. It's integration with Affinity Designer is perfect and changes made on one of the apps, easily updates onde the other. "A great alternative to Photoshop"
For about 50 USD or EURO, you get a professional app, without having to pay for a subscription. The user interface is very similar to Photoshop, so it is quite easy to switch from one to the other. It takes a while before you get used to it, because there are some differences, but as soon as you find your workflow, you can get the same results as with PS. You can use all of the PS plugins like NIK software, which by the way are free now. Because it has been built, brand new, from scratch, it is even faster than PS for some tasks. The developer team is really great, you can subscribe on the forum and ask them if you have questions or requests. The first beta version was already working fine, with almost no bugs. It is really difficult to find some things I dislike with this app. Maybe they could add “smart objects”, or some automated tasks like in PS, otherwise I can’t say anything. It is not a standard for now, unfortunately, and they don’t have a PC version yet, but apparently they are working on it. I can do all the things I did with PS, and Lightroom or Aperture if you add Pixave another great app. I could save money by not having to pay a subscription to Adobe CC. Now I am happy again, I have a reliable app to replace PS, Aperture, Lightroom and Pixelmator that I purchased a few years ago and which is a real nightmare. "A ligther and nicer experience than Photoshop"
It's quick to load, the interface is similar to Photoshop so easy to migrate over, and support is very good. It lacks two features of which I like in Photoshop, but as Photoshop is bloated, I can live with this. If you are a Photoshop user and need something lighter and cheaper, Affinity Photo is perfect. Migrating is easy as there is virtually no learning curve. Photo editing and creating visuals for digital products. "Powerful Image Editing Software for a fraction of Photoshop's price"
Ease of use, especially on iPad Pro. Using the iOS version with Apple Pencil is a pure joy. The menu system is a bit convoluted. It took a while to get used to it. Give the trial version a try on your computer. On iPad, it's so inexpensive you can just buy it and try it. It works BEST with the iPad Pro and Apple Pencil. Affordability, and am able to do many editing tasks faster. I used Affinity to make watermarks and edit pngs, make patterns and brushes. Pretty well documented and made the task easy. It's also fun to edit and play with photos. It worked so well I ended up buying the lifetime license. Maybe someday I won't need to pay Adobe anymore. But not quite there yet. Can't use Photoshop actions, so those automated things I have set up don't roll over and I can't replace Photoshop completely like I was hoping. It's a good photo editor and very good pricing. Simplifies some tasks better than Photoshop. Much cheaper. I like that you can buy it outright. "Love this product. Best alternative to Adobe Photoshop. Even better in my opinion." Easy of use and being able to understand what each tool does. The company has also done a lot work creating tutorials on how to use the product. So far I have not found anything I really want to complain about. I am very pleased. I use this product of modifying posters and other graphics related things. "Photoshop's good twin, and more." The fact that you can use all the features you have on Photoshop, and many more. So far, I think it has so many options and they are trying so hard to distance themselves from Adobe, that they are placing usual features in different places. There are more things than you can do with it, than just use it as a Photoshop stand-in. Basically, I can edit PDFs and Illustrator files, as well as PSD files, make files of your own, play with layers. It's great. "I No Longer "Need" Photoshop"
Affinity Photo gives me all the major power of Photoshop in a well-designed platform, for pennies on the dollar. Now that they just announced Affinity for Windows, I think you're going to see a LOT of Adobe CC cancellations. If my company didn't pay for my CC subscription, I wouldn't even bother with Photoshop anymore. In fact at home, I don't. Affinity Photo is THAT good. Like anything, there's a learning curve. They didn't just copy Photoshop's UI and UX. It's different, and that's okay, but it means having to learn some things anew. I've used Photoshop for 16 years, so I'm pretty fast, and I know where everything is, and how to use it. I feel a bit like a child when I use Affinity Photo, because it feels like I'm learning to walk again. But I think once I've invested a good solid amount of hard usage, I'll be just as adept at Affinity as I am w/ Photoshop. Download the trial. Use it. The learning curve, like any learning curve, can be frustrating, but I guarantee you - if you approach it like NEW software that you want to learn and become a master of, you'll forget you even have Photoshop installed. But don't launch it and expect everything to be the same as Photoshop. It's not, but that's a good thing. Adobe Creative Cloud is a HUGE expense for companies with large design teams, and an even BIGGER expense for individuals (proportionately speaking). Affinity Photo is the Photoshop-killer we've all been waiting for. The company is invested in solid UX, and providing designers the tools we've been asking for, and needing all these years. I use it for photomanipulation, raster designs, and even some vector-based stuff. I actually taught my 11 yo how to do simple vector editing in AP in just a few minutes. I used to be afraid of losing my company's CC subscription. I'm not anymore. Affinity Photo has some great tools and does a great job with very large file sizes. I love that you just buy it, rather than have to pay a monthly subscription. It is a great way to save money over the long run if you plan on using this one software for the foreseeable future. Nothing really. I still use photoshop quite a bit, but if you're looking for something that doesn't require a subscription, this is a great option. Give it a try. There is a free trial, so you're not risking anything. It solves the issue of paying a monthly fee to have photo editing capabilities. I love how easy it is to use and the flexibility. It's also great that it is only a one time purchase rather than subscription based. I don't like that you can't set a keyboard shortcut for macros the same way you can in Photoshop. I don't need a monthly subscription just to edit photos. I can easily edit the photos I need for updates. Most of the features available in PS are also available in Affinity. It is user friendly and their website offers a lot of free tutorials if needed. The price point is fair, it's under priced in my opinion, and free updates for life is something you can't beat. You can also use it on any computer that you own without having to pay for the software multiple times, which makes working in the office on one computer and working at home on another a bit easier. It would be helpful if you could pick up the work from one computer with the software to the next. Instead you'll need to save progress on one computer and send it to the next to be able to pick up where you left off if using two computers (think office and at home). It has made editing product images a lot easier and fairly seemless. With the tutorials provided on the website you're really able to learn just about anything without needing to pay for a course. It's actually runner up almost to photoshop. Lots of uses and options and intricacies. If you're new to photo editing you can get the hang of it. It's clumsy and very tiny in print and copies a lot from photoshop. I tried it for 2 months but always ran into roadblocks and went back to using photoshop. Installs locally on machine. Ease of use. Price. Free feature packs. Unlimited free upgrades. Low cost. No on going subscriptions. Brilliant product! So far, there is nothing I dislike. I love everything about it! It can take a little getting used to, but since there are plenty of online, free tutorials, and also a very detailed workbook. Low price to purchase. Software you own, not rent from the cloud. Does all the photo editing tasks that a user might require. Fast and very stable software - does not crash or freeze. Available for iPad, Windows and Mac. Would be nice if there was an option to turn-off dark mode and display the GUI in a lighter colour. Follow some of the many tutorials published online, to learn what the software can do. Editing photos ready for use in websites. Not having to pay a monthly license fee saves a ton when leading a brand new startup. I would swap some tool logos, other than that it works great! Move QUICKLY. Great for use in small or startup businesses. Image retouching- love using this tool on my laptop or desktop. Works fast, all necessary tools available. "Ease of use. Compatible with Affinity Designer"
Tools. I like the various tools and their function relative to their location within the app. Transitioning from photoshop to Affinity photo. Although similar in use, tools placement is different. If you use Affinity Designer then you should get Affinity Photo. Seamless transition and compatibility with Affinity Designer. Affinity Photo is much cheaper than Photoshop; it has a lifetime price of $50. The learning curve for Affinity photo can be pretty steep, coming from photoshop. Able to cut costs by not having to use Photoshop. I love the ability and freedom it allows me to design & and advance my skills. Very well designed and easy you use. The cost of some of them. But still great!!! * We monitor all Affinity Photo reviews to prevent fraudulent reviews and keep review quality high. We do not post reviews by company employees or direct competitors. Validated reviews require the user to submit a screenshot of the product containing their user ID, in order to verify a user is an actual user of the product. Hi there! Are you looking to implement a solution like Affinity Photo?